I’m over mourning for the summer we never had, because now it is autumn, and autumn means ANKLE BOOTS! This is my favourite time of year as far as fashion is concerned, not just because you can still have bare legs and if it’s dry you can do a sweater without a coat, but also because the shops are jam-packed with new stuff. Lovely new things to swoon over! 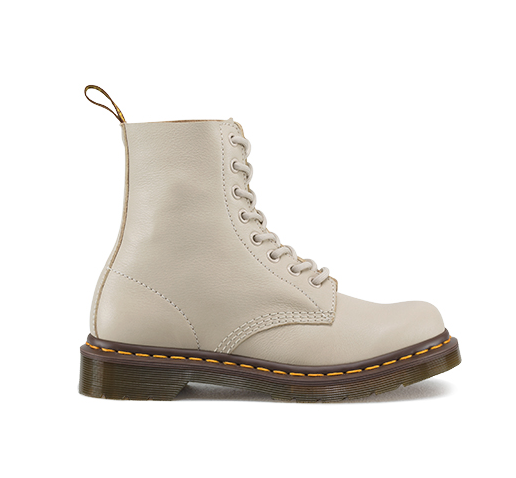 My favourite boot of the season came up and hit me in the face out of nowhere, though. I didn’t see it coming at all (which, given my job, I often do about 7 months in advance of it being available). It’s not a catwalk trend. I’ve not written about it in InStyle. 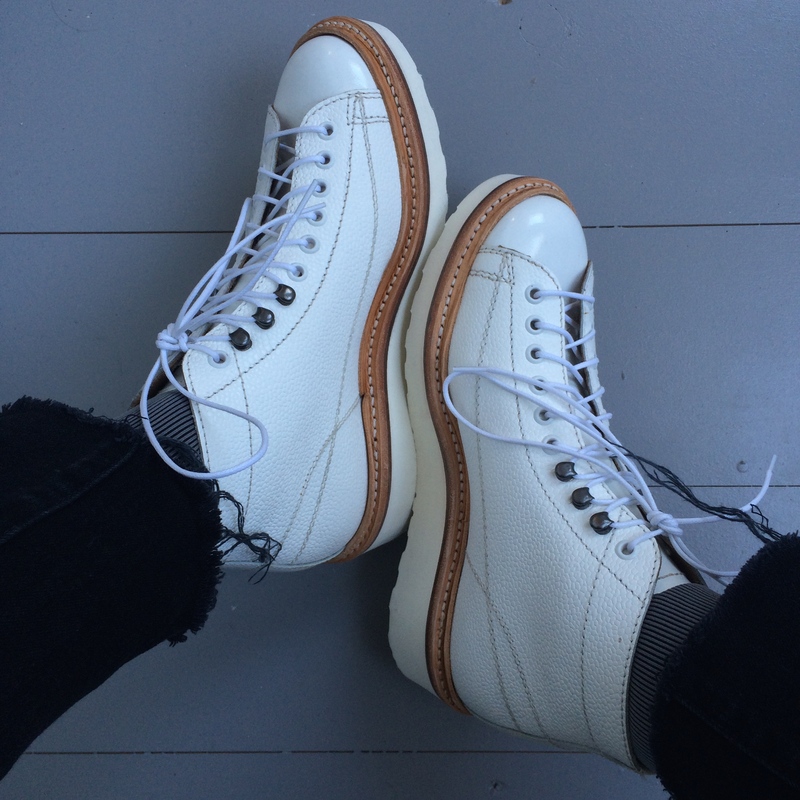 But I have been quietly obsessing over it since I went to the Grenson press day a few months ago. 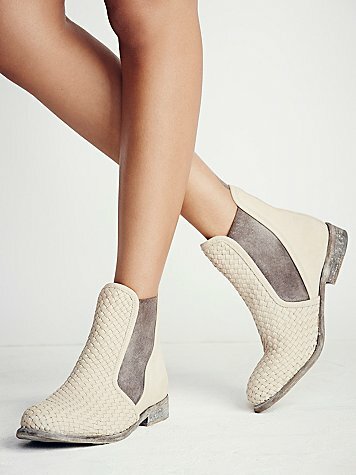 It is a white ankle boot. 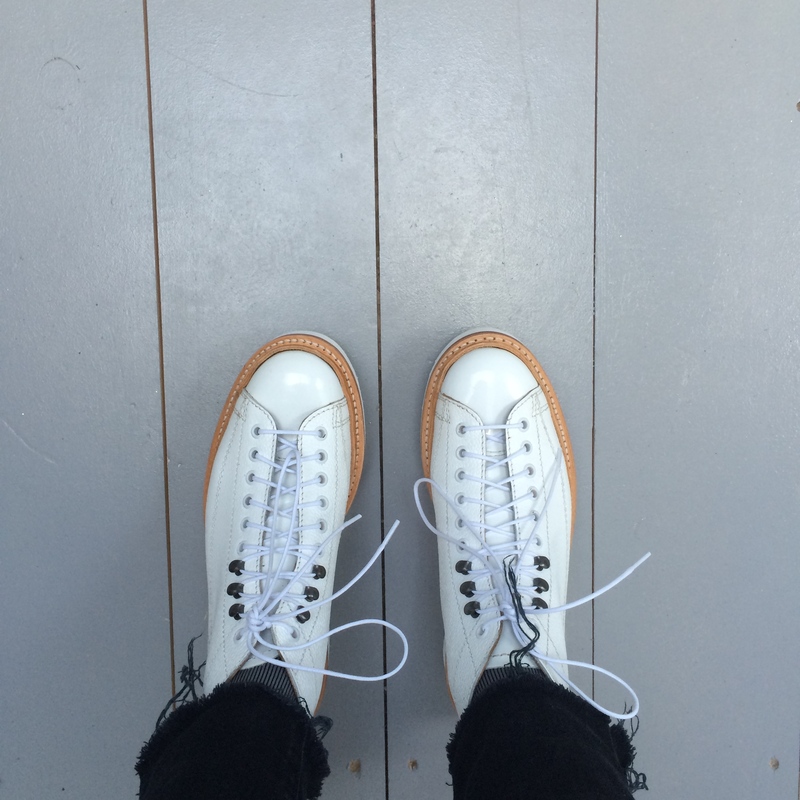 Aside from the fact that these are monkey boots (proper cool, very rock n roll), I really do love the fact that they’re white. I’m all about a pair of shoes that are so eye-catching you don’t really need to worry about the rest of your outfit because everyone will be looking at your feet. 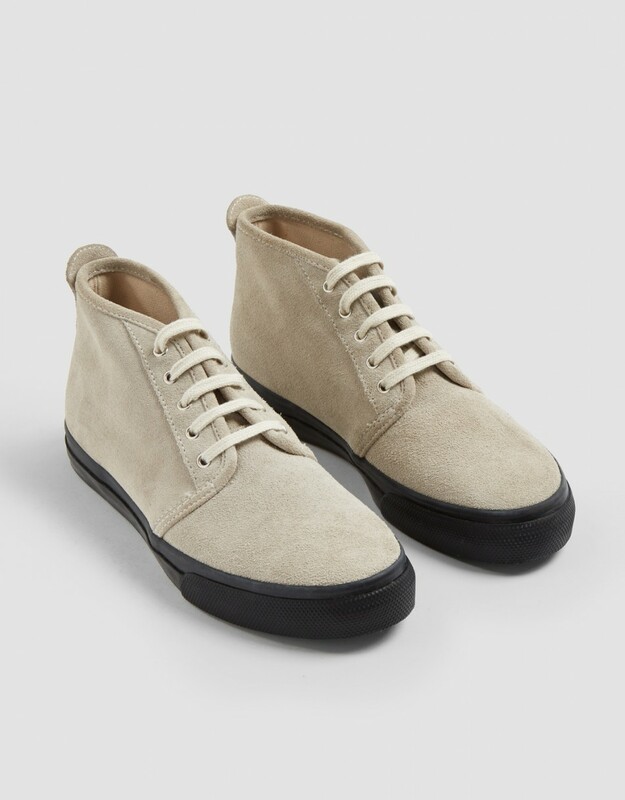 They come in black and tan too though, and I nearly went for the tan ones instead (a bit easier to wear), but that white pair had my name on them. 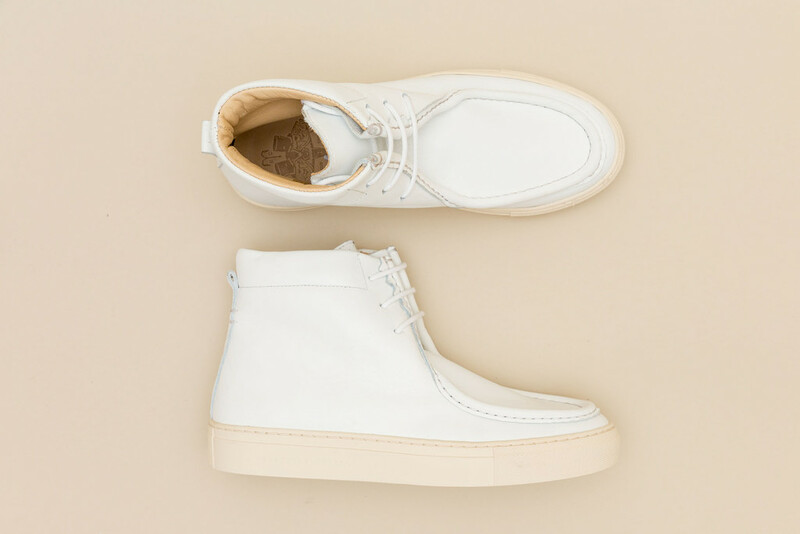 Of course, I’ve been harping on about how great Grenson is for as long as I’ve been writing this blog, but it’s not the only brand with an offering of a white ankle boot (or slightly off-white, if you’re not as keen on shoes that might require sunglasses just to look at them. A sort of stone colour is good too). 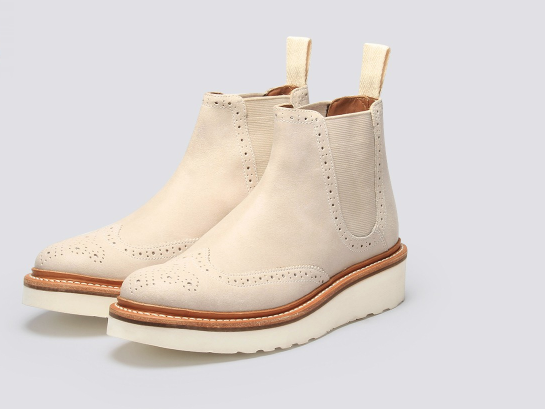 They come in all shapes and sizes; chukkas, moccasins, Wallabee-styles and Chelsea boots. 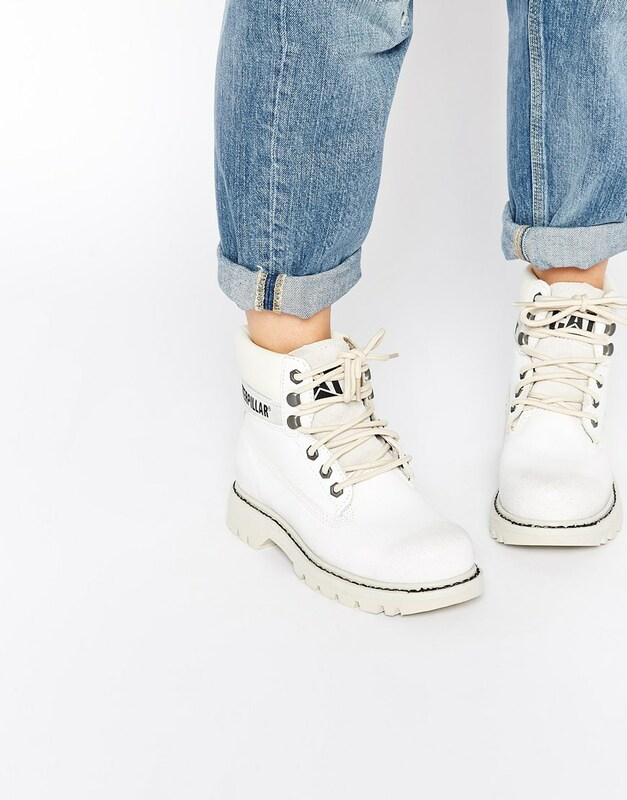 If you’re brave enough to go for such a statement on your feet, there are loads of options as far as styles are concerned. And if you’re worried about what to wear them with, I’d advise just keeping it simple. A pair of turned up jeans and a shirt will suffice nicely, or make the most of the weather (and your tan, if you managed one) while you still can by pairing them with bare legs and a skirt. Here are my favourite pairs available to buy now. They are sooo lovely, sadly the red mud of Devon (it contains iron oxide) means that pale coloured shoes are only viable in the summer. Everything white goes a sort of dingy pinky brown in a nano second, trainer fanatics must carry a tube of whitener everywhere they go!